Theatre at the Center is located off I-80/94, just 35 minutes from downtown Chicago. Here at ChiIL Mama and ChiIL Live Shows, we finally ventured out of state for a theatre road trip on the rave reviews and heart felt recommendations of some of our fellow theatre critics. Now I'm a convert! Theatre at the Center is simple to navigate to from Chicago and took less drive time than many of our closer theatre haunts where we have to battle cross town traffic. They have plentiful, free parking and a great space. Their 410 seat auditorium is quite spacious and comfortable, while remaining intimate. They even have an art gallery and a gift shop filled with local artisans' works where you can leisurely linger with all the extra pre show time you never expected to have! Furthermore, the talent pool is deep and the shows are professional productions on every front. Highly recommended! We'll be back for the opening night of The Odd Couple, so check back soon for our full review. We're looking forward to this one. Sure, Chicago has stellar theatre in the city, but Theatre at the Center hits the mark, and is well worth the drive. 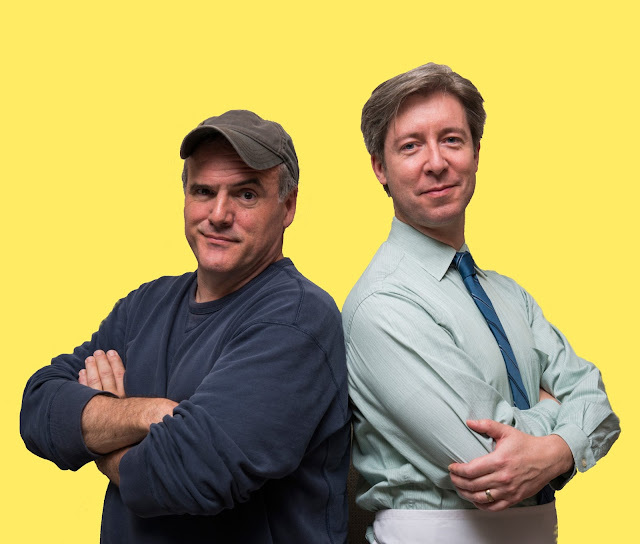 Actors Norm Boucher and George Keating will play the leads in Theatre at the Center’s cast for the famous comedy classic The Odd Couple, the 1965 Broadway hit by iconic playwright Neil Simon. 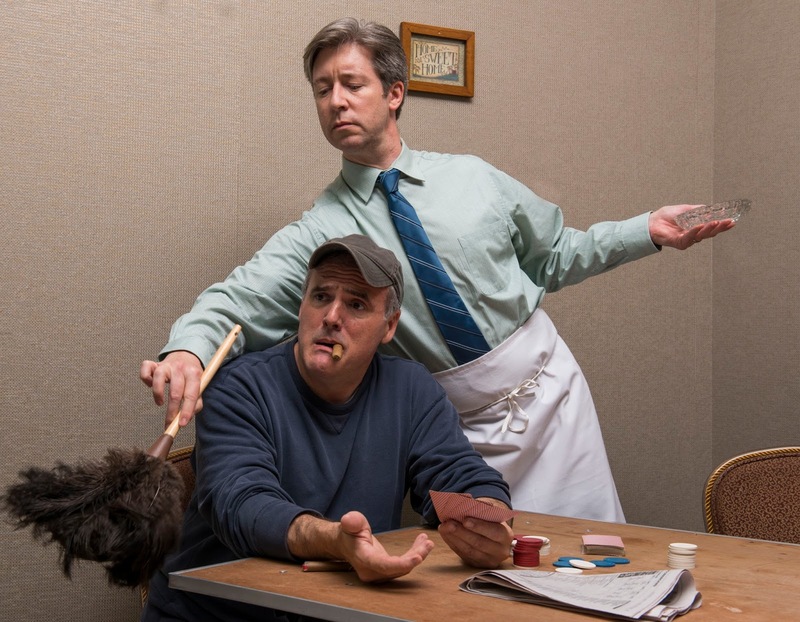 Directed by Larry Wyatt, The Odd Couple runs from July 14 to Aug. 14. Director Larry Wyatt’s credits include Some Like It Hot and Over the Tavern at Theatre at the Center. George Keating (Grand Hotel andMeet Me in St. Louis at Theatre at the Center) stars as Felix along with Norm Boucher (The 39 Steps and Big Fish at Theatre at the Center) as Oscar. Jeff Award winner Colette Todd (Big Fish and Beverly Hillbillies, the Musical at Theatre at the Center) plays Gwen. Jocelyn Adamski, who plays Cecily, has performed at Carnegie Hall and most recently appeared singing and dancing in Wheaton Drama’s production of Joseph and the Amazing Technicolor Dreamcoat, is making her debut at Theatre at the Center. Norm Boucher (left) stars as Oscar Madison and George Keating (right) as Felix Unger. Additional cast include Larry Adams (Spamalot and A Christmas Carol The Musical) at Theatre at the Center) as Roy; Brett Tuomi, who has appeared at Goodman Theatre in A Christmas Carol and The Iceman Cometh, as Murray the Cop, is making his Theatre at the Center debut; Ray Andrecheck, whose television credits include Chicago P.D., as Speed, is also making his Theatre at the Center debut; and Geoff Rice (A Christmas Memory and Leading Ladies at Theatre at the Center) plays Vinnie. The Odd Couple production team includes scenic design by Angie Miller, costume design by Brenda Winstead, lighting design by Denise Karczewski, props design by Brittney O’Keefeand sound design by Barry G. Funderburg. The production manager is Ann Davis with Dennis Galbreath as assistant technical director. Matt McMullen is the stage manager. Richard Friedman is general manager and Linda Fortunato is Theatre at the Center’s new artistic director.